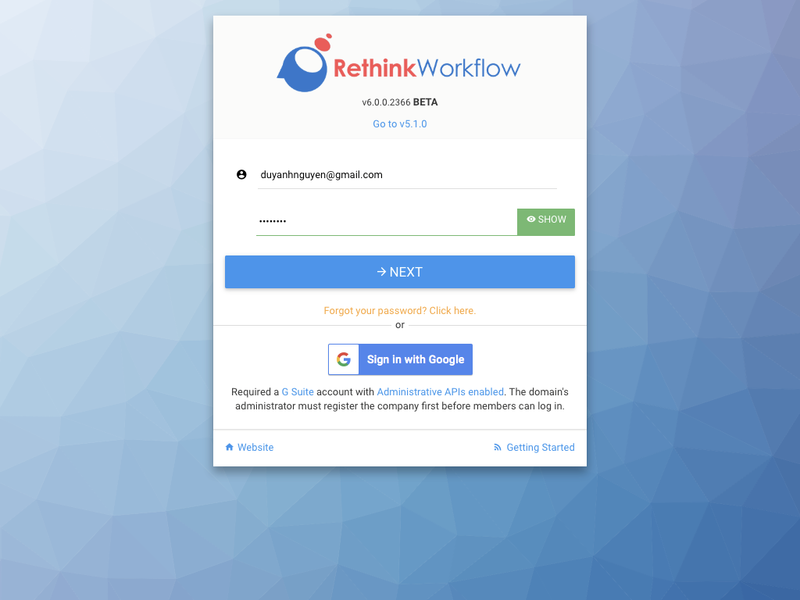 Starting from v6.0, we have improved our internal authentication process to make it easier for user to create and manage their account with Rethink Workflow. This guide is only applicable to users who belong to organizations that does not use single sign-on method. 1. 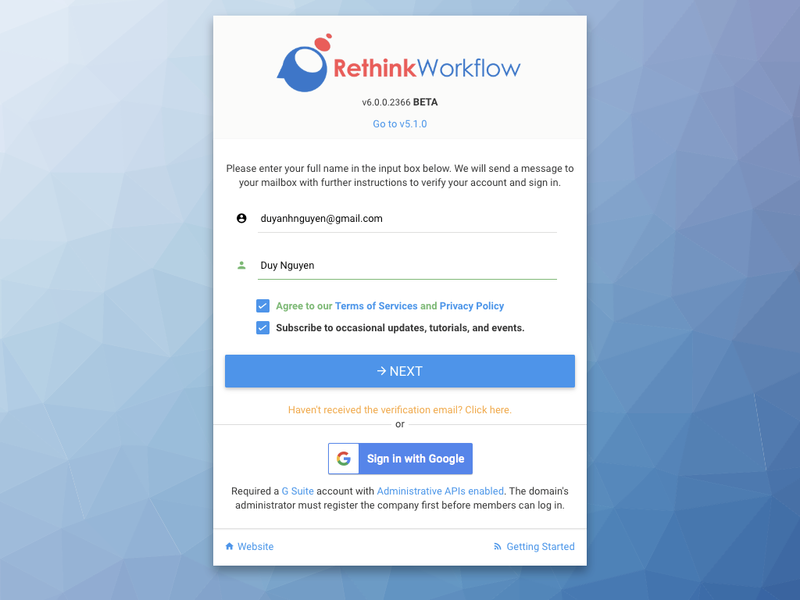 Access to https://secure.rethinkworkflow.com, fill in the email address, complete the CAPTCHA challenge, and click NEXT. 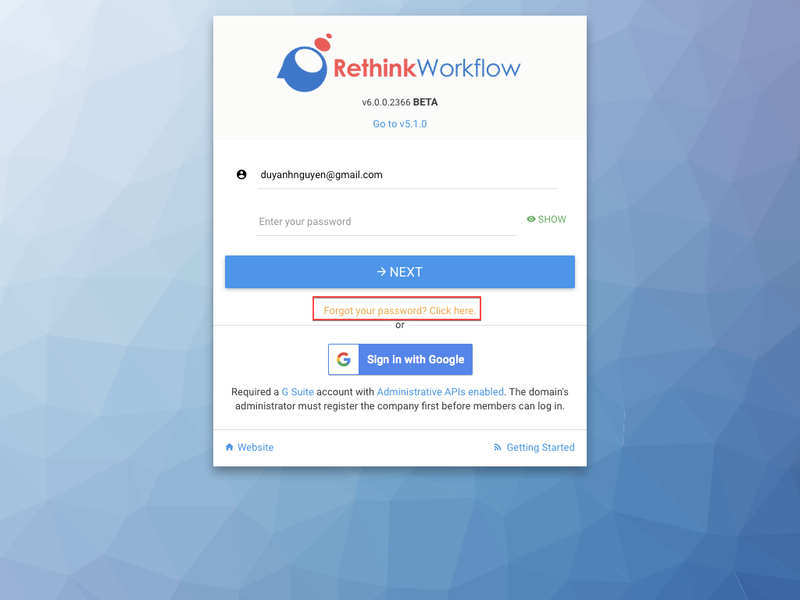 You can either click on the link attached or use the generated password to sign in to Rethink Workflow. 2. Click on "Forgot your password? Click here"
3. 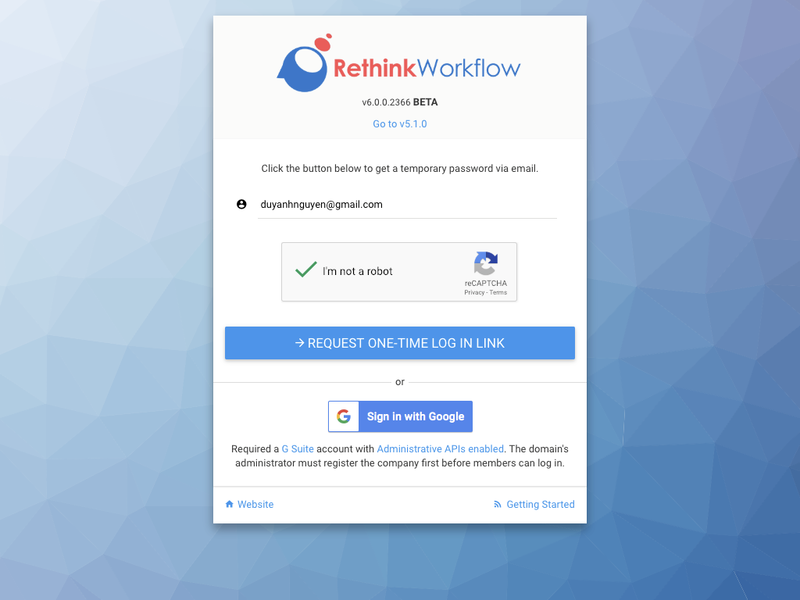 Complete the CAPTCHA challenge one more time, and click on "REQUEST ONE-TIME LOG IN LINK"
4. Check your mailbox for email similar to the following figure, click on the link to sign in.